Nikki Sivils: Glue Arts Swap Day TWO! 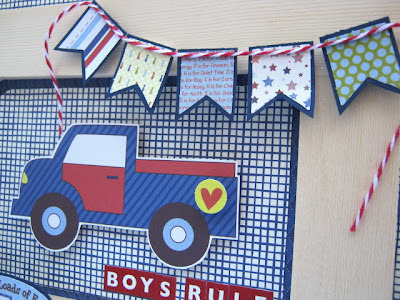 We are so excited to be blog swapping again today with the talented Glue Arts Blog today! If you aren't familiar with Glue Arts, they are, you guessed it...an adhesive company with some fun products. Check out their full line at their website HERE. 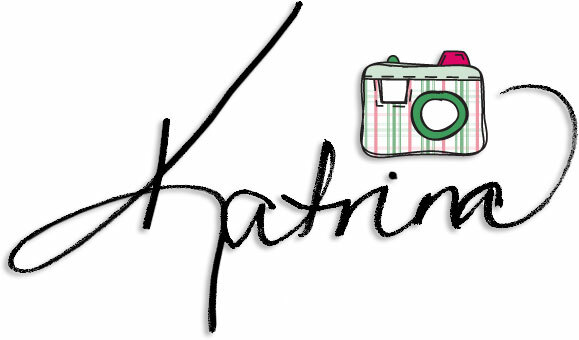 Make sure and check out our blog and comment each day (yesterday and today). You want to do the same thing over on the Glue Arts Blog also. We will be giving away a collection kit a day to a lucky commenter who comments on BOTH blogs! 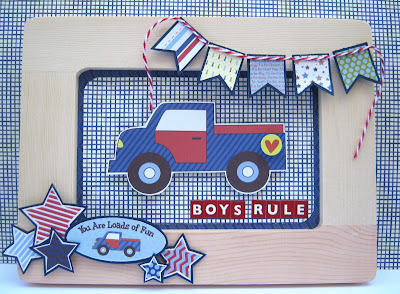 And Glue Arts has a prize for you on their blog! Let's get the party started AGAIN! The Divas rocked the adhesive yesterday and today is no exception to that either! First up is Julie Tucker-Woleck with a layout using the Noah collection. 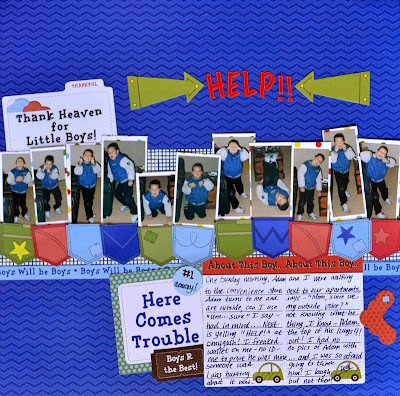 I loved using the Glider Pro on this layout - With all the smaller photos I used of my son, it made it so much easier to manage! 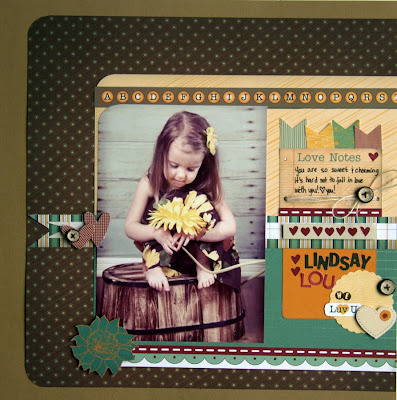 And Jodi Wilton used the Messages collection for this sweet, sweet layout! I love to add dimension to all my projects, and GLUE ARTS Raisen's are perfect for me to get the look I need I any project! 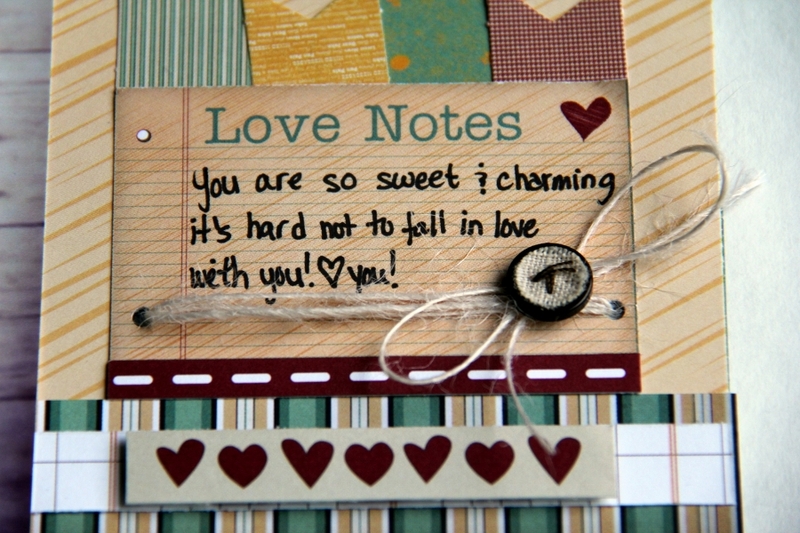 For this layout, I used them under the hearts, the strip of hearts and the flower that I fussy cut. Also the Pro Glue Glider is the perfect adhesive for your patterned paper, and photos!! 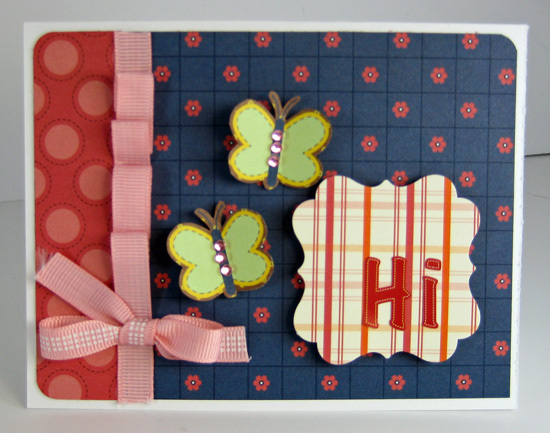 The PermaTac mini Adhesive Squares were the perfect touch for adhering the twine and the button to the patterned paper! Sarah Eclavea has a couple of very cute cards for her Glue Arts projects!! 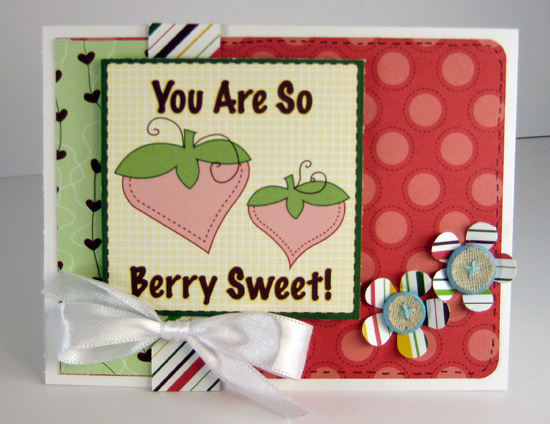 The bright colors in the Audrey collection make perfect spring cards! I used the glue arts Glue Glider Pro to adhere all the patterned paper to my cards. I then hand cut or punched some embellishments and used the Raise n's and U cut It foam adhesives. I love the combo pack with both of these adhevises in it! Makes it so easy to mix and match different types of adhesive on the same project. Marielle LeBlanc used the Noah collection to make this so sweet altered frame! I used an inexpensive 5x7 wood frame from Michael's for this project.I adhered the papers with the Glue Glidder Pro and everything else with the 3D foam, I like that I could cut the foam the size I needed for each element of this little boy frame. 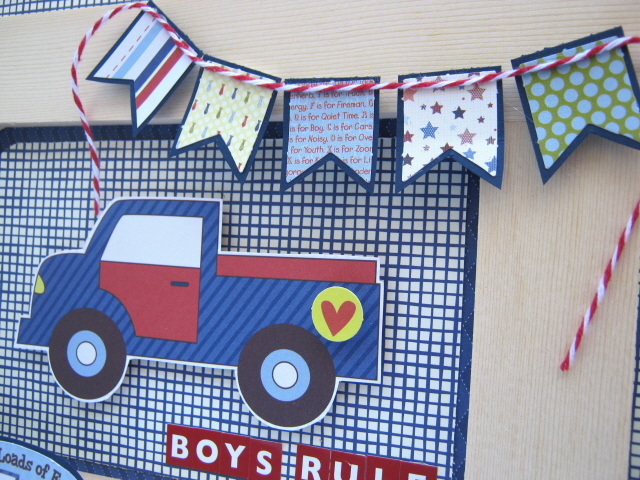 And finally, Melissa Pablo has a cute layout about taking a road trip! If you want to do fast and easy layouts choosing and using the right glue makes a difference. For this layout I choosed to use GLUE ARTS GlueGlider Pro and love, love it! I also used the GLUE ARTS 3D Combo Pac for some dimensions. I used the EXIT HERE line, some of the cute NS burlap buttons, twine, and NS alpha stickers. That is all our projects that the Divas have for you today. AND don't forget to comment on this blog posting today and the one yesterday and also over at Glue Arts. We will be giving away a collection kit to one lucky commenter from each day! Another day of fabulous layouts. I especially like the one titled help. What fun layouts! I lvoe the combinations of color and patterned paper. I loveeeeeeeee what everyone made!!! These are all GORGEOUS! super inspiration today ladies! great job!! Great projects! Love how many photos Julie was able to get in that first one, and that adorable truck card with banner, but I really love what everyone did today. Thanks! Great job DT's -- I always love to see what you create and inspiration you give me. 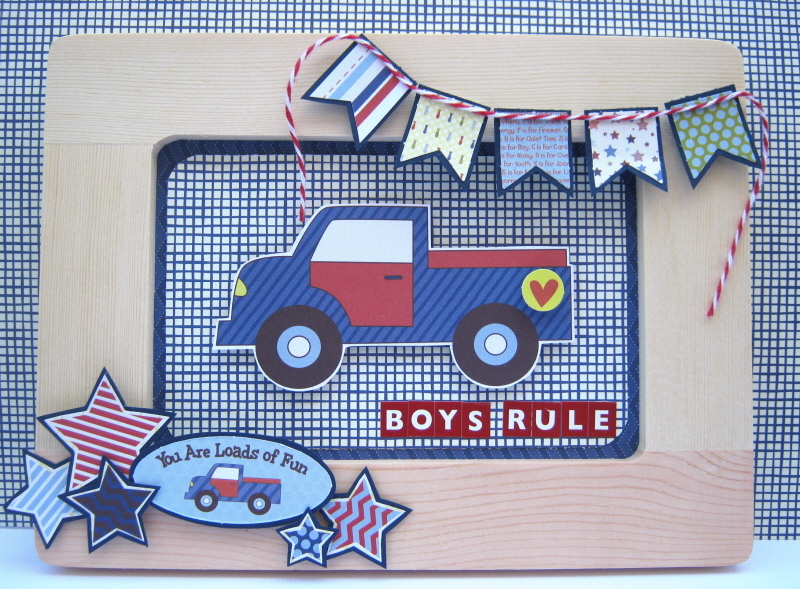 Boys Rule..what a great card! and I have two boys! Great projects--I like the collection kits and the way glue arts adhesives were used. Love all the pockets with the pictures! Oh wow those are some wonderful projects! Just popped in to see my talented Julies project and got to see so much more. Another day of fantastic inspiration...thank you. I wish our Lss sold it..
Great projects! I love all the banners! Stellar projects, I'm loving all the banners! Adorable projects today. They are all so fun. Love the truck banner. How awesome. I love the cards and the layouts. I love the colors on Jodi's layout. Thanks for the inspiration! Coooooool!!!! Great layouts and so much fun. Love the use of so many pictures. Using the Glue Glider Pro makes scrapbooking and card making so much easier. Thanks for the Hop! Beautiful projects, everyone! Thanks so much for the inspiration! Seriously I have to wonder how you all get such creative ideas!!! Simply beautiful and fun layouts. Love them all! I am loving all the projects today! TFS!! having the perfect glue is awesome - love all the projects! Another awesome day of layouts and cards! Great job girls! Great projects, and wonderful LOs. I am always so thrilled when they share. It inspires me to create as well. Thank you for sharing. Lovin the papers and the new designs. SO gorgeous and fresh and fun. Great cards. Love the layout as well . 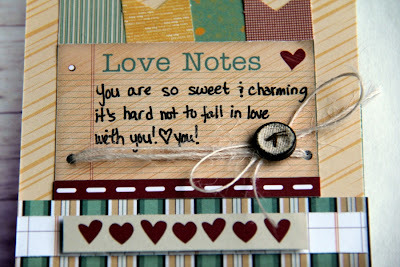 cute projects - great colors in the papers used. Amazing projects from all the DT! !